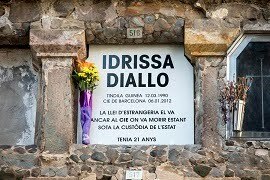 The campaign Tanquem els CIE (Close the detention centers) emerged in January 2012 after the death of Idrissa Diallo, a young man from Guinea Conakry who was imprisoned in the detention center in Barcelona. 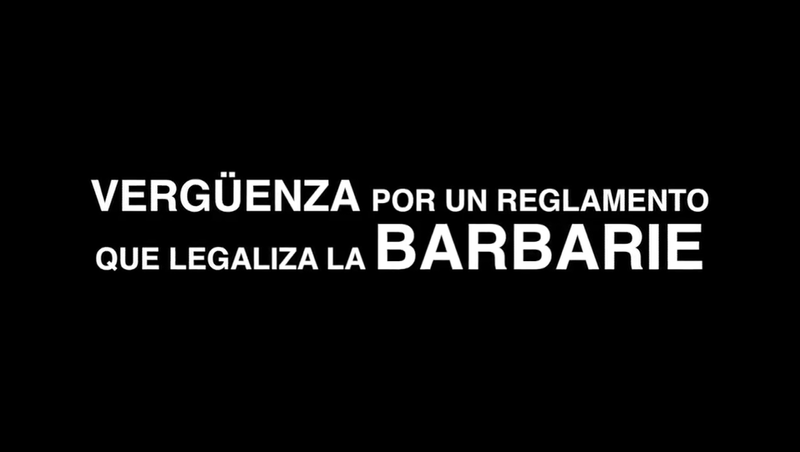 The first members came from different migrant rights’ organizations and collectives, but little by little the group grew with individuals getting involved through the numerous debates and talks organized throughout Barcelona neighborhoods. 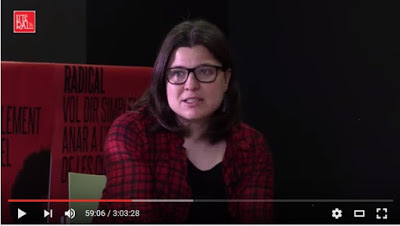 Strong connections with the CIEsNO platform in Valencia helped reinforcing a state-wide network, with new groups forming (Madrid, Salamanca, Canary islands), and the integration of consolidated anti-racism groups, such as Cambalache in Oviedo. 3) to achieve improvements in the conditions of the centers 4) to close these racist prisons. As the campaign gained credibility, it went on to reporting the whole framework of institutional racism, with specific actions or state-wide taskgroups working on ethnic profiling in Spain, deportation flights, or the extreme violence in Spain’s southern border, Ceuta and Melilla. 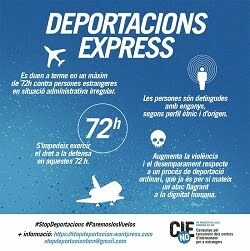 On July 2nd, 2015, after an 8-month long parliamentary debate in a focus group where Tanquem els CIE took a strong part, together with SOS Racisme, Migrastudium and other experts in Human Rights, the Catalan Parliament made the historic decision to demand the Spanish government to close the detention center in Barcelona. 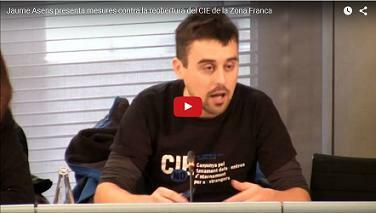 On October 30th Barcelona’s detention center was closed for renovation, due to all the new requirements stated by a judge in recognition of the appalling conditions in the center. 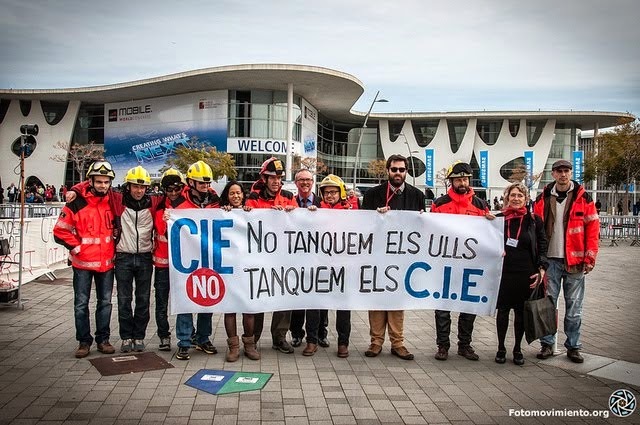 On November 24th, 2015 Barcelona’s city council held a press release stating it did not want the CIE to open after its renovation. Yet the Home Office Ministry has the last word, and intends to reopen the detention center. 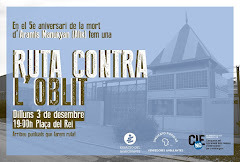 The campaign Tanquem els CIE organized on 30th January a public trial against detention centers and the persons responsible for maintaining them. The aim was to remind the public that no improvement of facilities justifies reopening the center. In these racist prisons human rights are breached with total impunity: Persons are kept in them and deprived of liberty just because they do not have a residence permit, have lost it or have been unable to renew it. 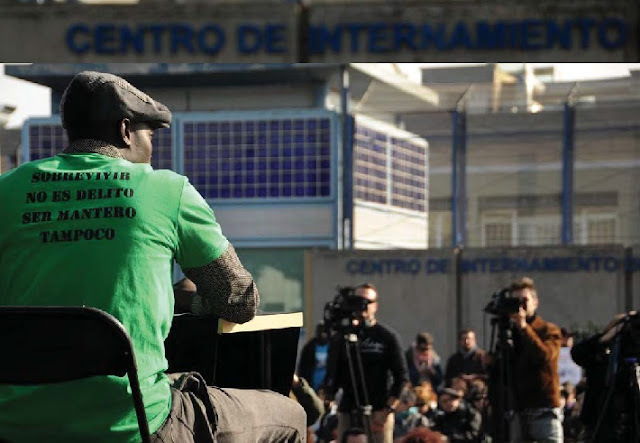 The trial demanded that the institutions comply with their promises in the struggle against detention centers and identified and accused the responsible persons who order arbitrary detention based on racist and classist prejudice, who convert administrative lacks in crimes, who criminalize poverty and deprive innocent people of liberty. 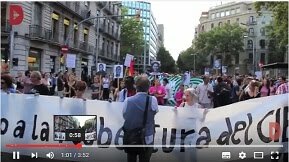 On April 7th 2016, the month the detention center in Barcelona was set to reopen after closing to improve its facilities, the campaign organized a protest in front of the building. Activists of several social movements carried out a sit-in, while members of Tanquem els CIE chained themselves to the center’s gate during three hours. This was a warning for the Spanish government and a reminder that it was intending to reopen the building against the decision of democratic organs, the Catalan Parliament and the Municipality of Barcelona. 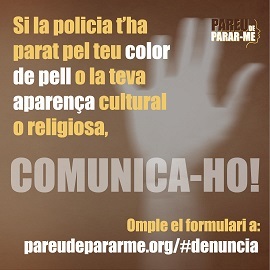 Although some political parties have also raised in the Spanish Parliament the proposal of closing for good Barcelona’s detention center, as a first step towards eradicating all these racist prisons in Spain, the Home Office doesn’t seem to be listening. The infamous Home Office minister, who is also responsible for hiding the facts on the many deaths crossing Ceuta and Melilla borders, is pushing to reopen the detention center any day now, and activists are preparing for massive demonstrations on the day it reopens, with calls for demos in the morning in the area where the CIE is located and through Barcelona downtown in the evening.